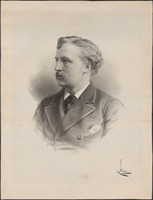 JOLY DE LOTBINIÈRE, Sir HENRI-GUSTAVE (he added de Lotbinière in 1888), lawyer, seigneur, and politician; b. 5 Dec. 1829 in Épernay, France, son of Pierre-Gustave Joly and Julie-Christine Chartier de Lotbinière; m. 6 May 1856 Margaretta Josepha Gowen at Quebec, and they had three sons and three daughters; d. there 16 Nov. 1908. Originally from Switzerland, the Joly family moved to Épernay early in the 19th century. Engaged in the export business, especially in the wine trade, they seem to have owned substantial properties in France and they carried on business in a number of other European countries. 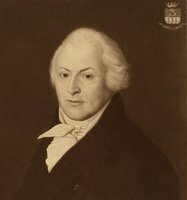 Inclination and necessity led Henri-Gustave Joly’s father to travel widely during the 1820s, especially in Sweden, Poland, Germany, Austria, and England; around 1827 he was in Montreal. A man of impressive stature and aristocratic bearing, affable, rich, and learned, Pierre-Gustave naturally became a star attraction in the grand salons of Montreal. There he met Julie-Christine, daughter of Michel-Eustache-Gaspard-Alain Chartier* de Lotbinière, and in 1828 they were married. After a lengthy honeymoon in Europe in 1829, Joly turned to his new role as a seigneur. His wife had been the owner of the seigneury of Lotbinière since 1822. She retained her title to the property but authorized him to manage it. The seigneury was still sparsely populated. It had 500 concessions at most in 1830 and until then had been run by indifferent estate agents. Joly decided to take up residence in the seigneury and moved his family there, although he maintained another home at Quebec, which enabled him to be a part of society in the city. In 1840 he had an enormous manor-house built on a cape overlooking the St Lawrence River at Pointe-au-Platon, near the eastern side of the seigneury. A man of boundless energy, he established an administrative regime for the property that would last until the end of the 19th century. He reactivated and modernized the two seigneurial grist-mills and, to improve communications with Quebec, had a dock for steamboats built at Pointe-au-Platon. He put forward the idea of a steamboat company, which was in fact set up at Lotbinière in 1854. Joly also enthusiastically supported the first railways and in 1846 began to get Quebec merchants interested in having a railway link with Richmond. His greatest contribution to the Lotbinière region, however, was the impetus he gave to the timber trade. He had construction of a sawmill at the mouth of the Rivière Du Chêne under way by 1832 and in the 1840s and 1850s Lotbinière became an important centre for the production of lumber, which was sold on the Quebec market. Joly also had interests beyond his seigneury. He maintained commercial connections in France and so frequently travelled in Europe; in the United States he invested money on the stock exchange and in copper mining. With two partners, he set up a colonization company in French Guiana. The demands of business did not prevent him from doing all kinds of scientific experiments and taking an interest in the latest technological discoveries. He kept notes about his travels and compiled information on the planets, the tides, precious stones, and various metals. Chemistry intrigued him and he set up a veritable laboratory at Pointe-au-Platon. His experiments in the field of photography indicate his interest in science. He was in Paris in 1839 when Jacques Daguerre publicized the details of his invention and put his first cameras on the market. Joly bought one and got instructions from Daguerre himself on how to use it. Five of Joly’s daguerreotypes were included in the first collection of photographs, published in Paris in 1840 by Nicolas-Paymal Lerebours. It is interesting to note that the seigneur of Lotbinière was probably the first person to photograph the Parthenon and certainly took the first published photographs of it. Energetic, cultivated, and authoritarian, Pierre-Gustave Joly exercised a powerful influence on his eldest son. At his father’s wish, Henri-Gustave studied in Paris from 1836 to 1849 under the watchful direction of his grandmother Joly and one of his aunts. The Jolys belonged to the Reformed Church in Paris and Henri-Gustave’s adolescence was profoundly affected by an austere and inflexible religious climate. 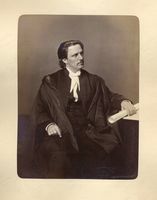 On his return to Canada in 1850 he articled for a time and in 1855 he was called to the Lower Canadian bar. 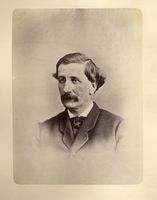 With his prestigious name, his father’s business connections, and then his marriage to Margaretta Josepha Gowen, the daughter of Hammond Gowen, a prominent Quebec City merchant, he quickly made a place for himself in the upper circles of Quebec society. His father involved him closely in the management of the seigneury, introduced him to the timber business, shared with him his passion for the natural sciences, and made him aware of the importance of railways for Quebec’s future. Above all, Pierre-Gustave passed on a personal discipline and a work ethic that would remain with his son throughout his career. At the end of 1860 Henri-Gustave became officially the seigneur of Lotbinière when his mother gave him title. The transfer is an indication of the dissension between his parents; in fact, his father left Canada a few years later and died in Paris in 1865. Henri-Gustave began his political career in 1861 by winning the seat for Lotbinière in the Legislative Assembly of the Province of Canada. 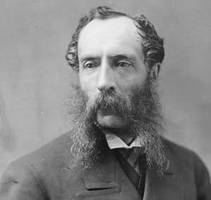 When he entered the house, he joined the liberal opposition and in 1862, like all the moderate liberals of the Quebec region, he supported the government of John Sandfield Macdonald* and Louis-Victor Sicotte*. In 1863, however, he left Sicotte’s group to join the Rouges under Antoine-Aimé Dorion*. He took part in the campaign against confederation and during the 1865 debate on the Quebec resolutions he made a long speech which was published in full in Le Pays (Montréal) and later distributed in pamphlet form. Joly perceived the Quebec resolutions as a plan for legislative union rather than for confederation. He questioned the usefulness of such a union, since the colonies were already under the common authority of Great Britain and there was therefore no reason why they could not take common action in the face of a military threat or negotiate a commercial reciprocity agreement. In his view, confederation would vastly increase public expenditures; it would arouse rivalry and animosity between the provinces by raising to the federal level questions more easily dealt with locally; and, given its centralizing character, it would pose a threat to French Canadians, who would become very much a minority in the federal parliament. Like most liberals from the Quebec district, Joly had little to do with the anti-confederation agitation in 1866 and 1867, and he soon came round to the new political situation, not least because he deeply regretted the aggressive attitude that the journalists of Le Pays displayed towards the clergy. 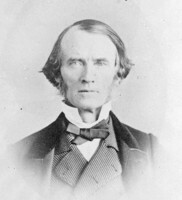 During his election campaign in 1867 he said he did not want to “drag the Rouge party around like a ball and chain,” that he accepted confederation even though he had fought against it, and that he “would endeavour sincerely to make it work for the greatest good of the country.” He never withdrew his support for confederation although he often had occasion to deplore the central government’s control over the provinces. In 1867 Joly was elected by acclamation to represent Lotbinière in both Quebec and Ottawa; he would retain his provincial seat until 1885 but would leave the House of Commons in 1874 after the double mandate had been abolished. With the creation of a provincial government, a new group of politicians arrived at Quebec; more than two-thirds of the provincial members who were elected in 1867 had no parliamentary experience. During the first session there was no opposition in the assembly. There were about a dozen members, however, who had with some degree of vigour fought against confederation and who might rally to the liberal tradition. Most of them came from the Richelieu, Quebec, and lower St Lawrence regions. They did not include any leading lights of the Rouge party, since the old Rouges had run for federal seats in 1867, leaving the provincial legislature to younger and more moderate liberals. It was not until March 1869, near the end of the second session, that these opposition members formed a caucus and elected a leader: Henri-Gustave Joly. Joly’s parliamentary experience and his personal prestige were the main factors in their choice. Party lines would later become more distinct in Quebec, and when chance brought the Liberals to power in 1878, there would for the first time be a Liberal party with a leader of provincial stature, a program, and a degree of organization. In this sense, Joly was the founder of the Liberal party in Quebec. As leader of the opposition, Joly made a significant contribution to the work of the house. His speeches almost always dealt with economic subjects. In the field of agriculture, he criticized the accepted routines of farmers, the limited use of fertilizer, and the archaic methods used in raising livestock. He urged that higher-quality seed grains and specialty crops be introduced and that more practical agricultural training, model farms, and agricultural societies be established. He set the example himself. In 1863 he had founded an agricultural society in Lotbinière county and he remained its president and moving spirit until the mid 1890s. 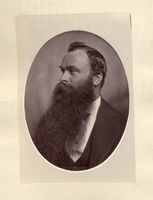 He was appointed president of the province’s Council of Agriculture when it was founded in 1869 and would be one of its most active members for two decades. He tried to introduce the cultivation of hemp and flax in the Lotbinière region, encouraged the growing of sugar beet, and during the 1880s began to urge the agricultural community to specialize in dairy farming. His own operation at Pointe-au-Platon served as a model farm. Joly’s speeches in the house also dealt with crown lands. In the latter half of the 19th century timber was the cornerstone of the province’s economy and, next to federal grants, these lands represented the government’s chief source of revenue. Joly constantly emphasized timber’s importance and suggested various measures for protecting the forests from fire. He criticized the wasteful practice of cutting hemlock solely for its bark, used in the production of tannin, and he called for the creation of timber reserves in each of the new townships being opened to colonization. But his sharpest and most sustained attacks were aimed at the administration of crown lands. Throughout the period, it was sullied by the most shameless corruption. At every stage – the granting of timber limits, the collection of stumpage fees, and the application of the few rules concerning forest conservation – the logging companies had many opportunities to put pressure on the commissioner of crown lands or on the department’s incompetent personnel. Joly created a sensation in the assembly in 1872 when he revealed that the average fee paid by companies was around $8 per square mile in Quebec, whereas Ontario on average charged $113 per square mile. On the basis of this comparison, he argued that the province had lost about a million dollars in 1872, a sum equal to the annual provincial budget. Under Joly’s leadership the opposition forced the Conservative cabinet of Pierre-Joseph-Olivier Chauveau* to introduce a few reforms in the administration of crown lands, the most important being the abolition of private sales of timber limits. These reforms were not sufficient, however, to offset the incompetence and lack of foresight of the provincial administrators, and during that entire period the logging companies would remain the chief contributors to election funds. Joly was also an ardent champion of railway construction. He considered railways essential to economic growth since they linked the countryside to the towns, opened up areas of colonization, facilitated the timber trade, and brought the province into the mainstream of commerce with the rest of Canada and with New England. His name is associated with the establishment of the Quebec and Gosford Railway Company (which in 1875 became the Quebec and Lake Saint John), with the Levis and Kennebec, and especially with the North Shore Railway (which in 1875 became the Quebec, Montreal, Ottawa and Occidental). The construction of this artery along the north shore was certainly the most ambitious project undertaken by the Quebec government in the 19th century. In 1875, when private companies proved unable to raise the necessary capital, the province took it over, despite the economic depression. The venture put a serious strain on the provincial budget, forced an increase in taxes, exacerbated partisan differences and regional rivalries, and led to a bitter confrontation between the government and the larger north shore municipalities, which had promised their financial support. For the first time since 1867 the Liberal opposition could hope to bring together regional and local grievances. It was in this highly charged atmosphere that Lieutenant Governor Luc Letellier* de Saint-Just precipitated the most famous constitutional crisis in the history of the province. He had recently left politics, where he had fought the good fight for the Liberal party, and he made no attempt to conceal his mistrust of his Conservative advisers. 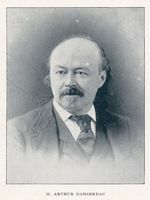 Claiming that he had not received proper notice, had doubts as to the constitutionality of the “municipalities bill,” which required communities to pay the grants they had promised for the construction of the railway, and was worried about the state of the provincial budget, Letellier de Saint-Just dismissed Premier Charles-Eugène Boucher* de Boucherville. 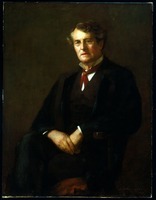 On 2 March 1878 he called on Joly to form a government. The lieutenant governor’s action led inevitably to the dissolution of the legislature, since Joly could count on only about 20 supporters. 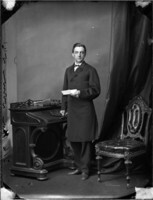 The new premier went to the voters with the slogan, “The province must choose between direct taxation and economy.” The day after the 1878 election, the two parties were neck and neck: 32 Liberals, 32 Conservatives and one Conservative sympathetic to Joly, Arthur Turcotte, the member for Trois-Rivières, who was offered the highly coveted office of speaker of the assembly. The Joly government managed to survive for 18 months under constant threat of defeat in the event of a member’s absence, a whim, or a defection. More than once the speaker had to cast his vote to support the shaky cabinet. For Joly this was the most turbulent period of his career. With a limited number of members and a cabinet lacking cohesion, violently criticized by a press his Conservative opponents dominated, beset by greedy followers demanding their share of patronage, Joly had to be constantly on his guard. His government’s vulnerability was intensified by the difficulties Alexander Mackenzie*’s Liberals in Ottawa were undergoing, and the federal election of September 1878 deprived him, at a critical moment, of his federal bulwark. The Joly government had three major concerns: to complete the Quebec, Montreal, Ottawa and Occidental Railway, prevent the dismissal of Letellier de Saint-Just, and reduce public expenditures. It was obviously in the interests of the province to finish building the north shore section of the railway as quickly as possible. The premier took personal charge of this matter and called on engineer Walter Shanly* for advice. 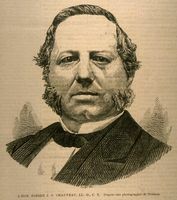 Tireless in his enthusiasm, Joly entered into negotiations with the municipalities of Quebec, Trois-Rivières, and Montreal, settled the thorny question of the route from Terrebonne to Montreal, got a three-million-dollar loan negotiated on the New York market, and authorized construction of a belt line at Trois-Rivières and a bridge at Hull. He ordered work to continue even in winter; one day, so the story goes, he travelled many miles on snowshoes to see how the railway was progressing. The line was finally opened to traffic on 8 Feb. 1879. Joly wanted to have a syndicate lease and operate it, but he could not complete the necessary arrangements before his government fell. The atmosphere of crisis that marked Joly’s term of office owed much to heated discussions about the lieutenant governor. Joly does not seem to have questioned the constitutionality and legitimacy of Letellier de Saint-Just’s dismissal of his Conservative ministry. He had assumed responsibility for it when he went to the province and the voters had vindicated the lieutenant governor. But as a federal official, the lieutenant governor would be judged at the federal level as well. 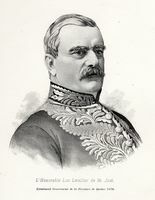 The Conservatives in Ottawa, determined to cut short the career of “Luc I,” passed a motion in the House of Commons censuring him on 14 March 1879, and the cabinet recommended to the governor general, Lord Lorne [Campbell*], that he be removed from office. In the absence of any guiding precedent, Lorne asked that the whole matter be submitted to the British government with a request for instructions. Joly promptly went to England himself to plead Letellier de Saint-Just’s case with the colonial secretary, but he was given a rather cool reception. The imperial government concluded that the lieutenant governor had the constitutional right to dismiss his ministers, taking care to act impartially in his dealings with rival parties, but that the governor general must follow the advice of his ministers with regard to removing a lieutenant governor from office. Letellier de Saint-Just was informed of his dismissal on 25 July 1879. Spencer Wood would now be occupied by Théodore Robitaille*, formerly a Conservative mp, who was as partisan a lieutenant governor as his predecessor and who missed no opportunity to harass his premier. To reduce public expenditures further, the government even proposed doing away with the Legislative Council, which reacted in August 1879 by refusing to vote supply. In the fall of 1879 Joly had his back to the wall. He had lost the Letellier case; Lieutenant Governor Robitaille was constantly demanding explanations, reports, or postponements; the Legislative Council was in revolt; the press was increasingly hostile; and Joseph-Adolphe Chapleau*, the rising star of the Conservative party, was putting more and more pressure on some Liberal members. On 29 Oct. 1879, five Liberal mlas joined the Conservative ranks and the Joly government found itself in a minority. 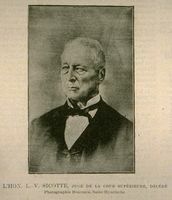 When his request for dissolution of the legislature was refused, Joly resigned. The record of his government was inevitably limited. Preoccupied with mere survival, paralysed by the unfavourable turn of events, and hampered by a hostile federal government, Joly had neither the time nor the support needed to give a new direction to the provincial administration. Back as leader of the Liberal opposition, Joly became demoralized and increasingly disgusted in the early 1880s at the corruption surrounding the administration of the province, the venality of politicians, the pettiness of inter-party fighting, and the intervention of the clergy in public affairs. The Liberals suffered a stinging defeat in the 1881 general election, and many of them began to wish for a more fiery leader. Honoré Mercier* confided to Edward Blake* that “Joly is well regarded, but is not in command; he has no practical sense and considers legitimate scheming beneath him.” Mercier’s influence in the party was growing and at the beginning of the 1883 session Joly relinquished leadership to him. There had always been a strained relationship between them. Joly saw Mercier as unscrupulous, a man for whom the end justified the means. But it was the Riel affair [see Louis Riel*] that would precipitate the break between them. From the beginning of the uprising in the west in March 1885, Joly took a cautious approach in the face of the sympathy for Riel that was showing itself in the province of Quebec. He was in a position to follow the development of the troubles closely, since he corresponded regularly with his friend Major-General Thomas Bland Strange*, who would be assigned to lead a column of the Canadian militia against the forces with Big Bear [Mistahimaskwa*]. 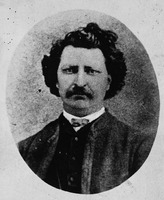 In April 1885 Joly made known his attitude towards the uprising; although he recognized the negligence and lack of concern shown by the federal government with regard to the demands of the Métis, he indicated that he had no sympathy for Riel, holding him “responsible for unleashing the Indians.” And when he realized how much support the pro-Riel movement was getting in his riding during the weeks after the Métis leader’s execution, he decided to resign from the assembly. “Since I could neither understand nor share the sentiments of my constituents,” he wrote to his son Edmond, “I considered it my duty to give them an opportunity to be represented by a man who could share their ideas better than I could and I have resigned.” In Joly’s view, the agitation was based first and foremost on the exploitation of nationalist prejudices, and the formation of the Parti National reflected “the aspirations of French Canadians for a distinct nationality.” This agitation might well lead to the formation of a French Canadian party, a war between the two ethnic groups, and possibly the dismantling of confederation. Joly stayed out of politics for most of the Mercier regime, devoting his time to his seigneury, his timber business, and his studies in forestry. Although he never publicly criticized Mercier’s “national” government, he confided to his friends that he was uneasy about an administration that exploited nationalist biases, gave the clergy an inordinately large political role, and made corruption into a system. In 1889, increasingly disturbed at the ethnic tensions, which were exacerbated by the settlement of the Jesuit estates question [see Mercier], he came to feel guilty about remaining out of politics when he could be helping “to put an end to the unrest prevailing in the province, before the split that is tending to alienate the two races and the two religions becomes irreparable.” Despite his reservations about Mercier, he defended the solution to the Jesuit estates problem and condemned the fanaticism of the Protestant English-language press. In December 1888 he had campaigned for Colonel William Rhodes in Mégantic to ensure a Protestant presence in the cabinet. 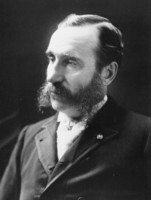 When Mercier left the province for a European tour in March 1891, he accepted the responsibility of administering the Department of Agriculture and Colonization. 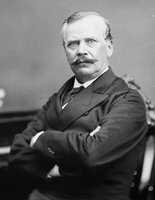 In the summer of 1891, in fact, Joly de Lotbinière had practically agreed to enter the Mercier cabinet as minister of agriculture and colonization when the Baie des Chaleurs scandal broke. He promptly terminated all association with Mercier and his entourage, and when he was approached to resume the leadership of the party in 1894, he confided to his son that he did not have the heart to accept. “I would have more enemies among my friends than among my enemies,” he explained. After 1894, concerned about the tensions aroused by the Manitoba school question [see Thomas Greenway], Joly de Lotbinière became more and more interested in the federal scene. At the request of Wilfrid Laurier* he toured Ontario, preaching the gospel of understanding. In Kingston, Belleville, and Toronto he urged that the political and religious prejudices which were raising barriers between Ontario and Quebec be set aside. On the Manitoba school question he sided with the Catholic minority and called for a compromise enabling Catholics to have their own schools. Joly de Lotbinière was made a kcmg in 1895. 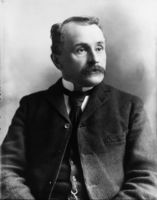 He agreed to run in Portneuf in the federal election of June 1896 and thereby won Laurier the sympathy of Protestant voters, mainly in the Eastern Townships, as well as increased popularity in the Quebec region. Above all, his candidacy was a pledge of political honesty and did much to refurbish the image of the Liberals in the province, who had been disgraced by the Mercier regime. He was invited to join Laurier’s first cabinet, and served from 1896 to 1900 as controller and then minister of inland revenue. The main functions of his department were to collect the excise tax on liquor, tobacco, and petroleum, inspect food products, and control the regulations with respect to weights and measures. These were all fields in which the new minister took a personal interest. Despite his age (he was 66 in 1896), he devoted himself enthusiastically to his work and paid particular attention to regulating the inspection of western wheat and to the possibility of introducing the metric system. The tensions between Sir Henri and his colleagues were certainly not unrelated to the rumours that began circulating in 1897 to the effect that he would shortly be appointed lieutenant governor of Quebec, then of Ontario, and then of the North-West Territories. He scoffed at these stories. “I do not know why people want to send me everywhere except to this department, in which I take so much interest and to which I am prepared to devote all my time and which I am eager to improve in every way possible, both by reducing expenditures and by increasing its efficiency.” And after all, how could he accept a political appointment when he was waging a campaign against patronage? But on 18 June 1900 he went into a cabinet meeting as a minister and came out as lieutenant governor of British Columbia, having been persuaded by his colleagues that it was his duty to accept the office since the province was experiencing serious political problems. They had just approved the dismissal of Lieutenant Governor Thomas Robert McInnes, who twice in the previous 18 months had dismissed his constitutional advisers. The Legislative Assembly of British Columbia was made up of factions rather than organized political parties, hence the instability of cabinets as well as the leading role often played by the lieutenant governor. 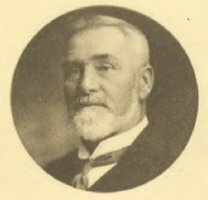 During his term, from 1900 to 1906, Joly de Lotbinière refused to accept the resignation of Premier James Dunsmuir* in October 1901 in order to avoid a general election, he dismissed the cabinet of Edward Gawler Prior in 1903 following a scandal in which several ministers were implicated, and he picked Richard McBride* for premier himself. The fact that the ministers had little experience made his own influence on the cabinet all the greater; as he would say, he became the adviser to his constitutional advisers. It was unanimously agreed that Sir Henri had done much to enhance the position of lieutenant governor by his kindly affability, his natural elegance, his personal prestige, and his political experience. When his term was up, he returned to Quebec, since his health was rapidly deteriorating. He died at his Quebec City residence in 1908 at the age of 79. 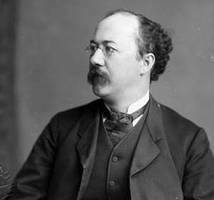 As the heir to two families with very different traditions, Henri-Gustave Joly de Lotbinière was one of the most fascinating figures of the latter half of the 19th century in Canada. His career seems fraught with contradictions. Though he belonged to the Church of England, he was leader of the opposition and premier of a province where ultramontanism held undisputed sway. Acknowledged in the 1860s as a leading opponent of confederation, as early as 1869 he was extolling the advantages of the federal system in the Maritimes, and later he opposed Mercier’s requests for changes in the constitutional arrangements of 1867. Born and educated in France and always deeply attached to his French heritage, he was often considered one of the spokesmen of Quebec’s English-speaking minority. Although the seigneurial regime had been abolished in 1854, Joly remained the seigneur of Lotbinière and, even at the dawn of the 20th century, he was still collecting cens et rentes. He was closely associated with Letellier de Saint-Just’s “coup d’état” and his opposition in 1878 and 1879 to the dismissal of the lieutenant governor was one of the causes for which he worked most energetically. Yet, as a federal cabinet minister, he participated in the removal of another lieutenant governor in 1900, whose successor, as luck would have it, he became. Accused of being politically naïve and portrayed as too honest a man to engage in politics, he nevertheless had a surprisingly long and varied career, as a member of provincial or federal legislatures for 27 years, leader of the opposition and premier of Quebec, a federal minister in Laurier’s first cabinet, and lieutenant governor of British Columbia. [This biography of Sir Henri-Gustave Joly de Lotbinière is based on the extensive archives of the Joly de Lotbinière family at ANQ-Q, P-351. The collection covers all facets of his life, in particular the administration of his seigneury, his activities in the lumber trade, his family life, and his career in politics. There is a detailed inventory, which facilitates the use of the papers. Several collections at the BCARS contain documents relating to the role of Joly de Lotbinière as lieutenant governor of British Columbia: GR 443 (lieutenant governor, dispatches); E/D/J68 (corr. between Joly de Lotbinière and Richard McBride); and A/E/C86 (Crease coll.). 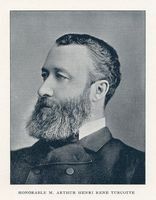 The parliamentary debates are an important source for information on his political career: Qué., Assemblée Legislative, Débats, 1867–85, and Can., House of Commons, Debates, 1896–1900. His speech on the subject of confederation given on 2 Feb. 1865 appears in Can., Prov. of, Parl., Parliamentary debates on the subject of the confederation of the British North American provinces . . . (Quebec, 1865). A detailed examination of Joly’s political career before 1878 may be found in the author’s Premières années du parlementarisme québécois and in A[uguste] Achintre, Manuel électoral; portraits et dossiers parlementaires du premier Parlement de Québec (Montreal, 1871). The government headed by Joly is the subject of a fine thesis by Pierre Trépanier: “L’administration Joly (1878–1879)” (thèse de ma, univ. d’Ottawa, 1972). Jean-Charles Bonenfant* published an important article on Letellier de Saint-Just’s “coup d’état,” “Destitution d’un premier ministre et d’un lieutenant-gouverneur” in Cahiers des Dix, 28 (1963): 9–31; P.-B. Casgrain, Études historiques; Letellier de Saint-Just et son temps (Québec, 1885), should also be consulted on this subject. Joly’s contributions to the Liberal party are dealt with extensively in Marcel Caya’s thesis, “La formation du Parti libéral au Québec, 1867–1887” (phd thesis, York Univ., North York, Ont., 1981). Two studies help place Joly’s interest in railway construction in perspective, B. J. Young, Promoters and politicians: the north-shore railways in the history of Quebec, 1854–85 (Toronto, 1978), and Gaétan Gervais, “L’expansion du réseau ferroviaire québécois (1875–1895)” (thèse de phd, univ. d’Ottawa, 1978). On Joly de Lotbinière as lieutenant governor of British Colombia, see J. T. Saywell, The office of lieutenant-governor: a study in Canadian government and politics (Toronto, 1957). In his Hist. de la prov. de Québec, Robert Rumilly* provides a great deal of information on Joly de Lotbinière’s career as a whole. Marcel Hamelin, “JOLY DE LOTBINIÈRE, Sir HENRI-GUSTAVE,” in Dictionary of Canadian Biography, vol. 13, University of Toronto/Université Laval, 2003–, accessed April 19, 2019, http://www.biographi.ca/en/bio/joly_de_lotbiniere_henri_gustave_13E.html.